One of the most important pieces of information you need to know when arranging a move is the price that you will be paying. 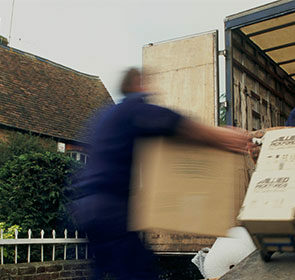 For this, you will need to request moving house quotes from various companies. A quote should give you the information you need to begin planning your move. This page will show you the details and benefits of obtaining quotes for moving house. There are many factors that differentiate your move from others, so removal costs can vary greatly. Moving house is a difficult task and being fully prepared is essential—this is where moving house quotes come in. To be prepared, you will need to have an accurate estimate of the costs of your move. And since you would most likely want to save as much money as possible, it is in your best interests to get moving house quotes from more than one company. Being able to see the differences between the prices provided by removalists makes a big difference since you are able to see the offer with the best value for your money. 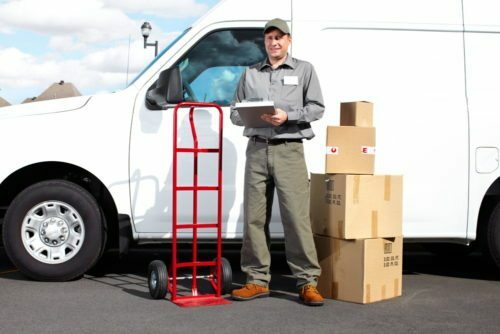 In only 1 minute, you will find a reliable moving company in your area, with savings of up to 40%. Complete the form with your information and 6 removal specialists will get back to you with their best offers. What’s included in moving house quotes? Price: The price displayed might be fully inclusive or exclude extra fees or charges. Make sure to ask the moving company if the price consists of estimated costs or a complete calculation. Work: This is a description of the work the removal company will be performing. This includes the vehicle being used, the number of movers, what services are included, and any pertinent information. Although receiving quotes from removal companies online is quick and easy, it is still important to provide enough time before your preferred moving date to begin your preparations. Once you receive quotes from various removalists and have chosen a company, it is a good idea to arrange a home survey about 4 weeks before you would like to move. This way, you get a more comprehensive breakdown of costs and have time to complete all the tasks in the build up to your move. Do not forget that this includes one of the most time-consuming things about moving: packing. To avoid a stressful move, make sure that you have enough time for relocating to your new home. Of course, if you are moving abroad, the time to get quotes should be much earlier. Depending on your destination and the mode of transport you prefer, shipping times can take as long as 6 weeks. 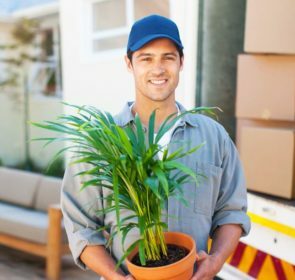 It is best to obtain international moving house quotes as early as possible so there is plenty of time to make all the necessary arrangements for relocating to another country. While these time estimates are useful guidelines to follow, there is nothing wrong with organising your move as early as possible. The earlier you receive quotes and begin planning, the better. You can request quotes at any time to get an idea of costs and what the removal will involve, even as early as a year before! Our partnered removal companies are more than willing to help you plan your move, no matter how early. However, if you need to relocate quickly, removal specialists are also capable of handling your move. The flexibility of their services, equipment, and movers allow them to easily adapt to your specific moving needs and respond to short notice moves. 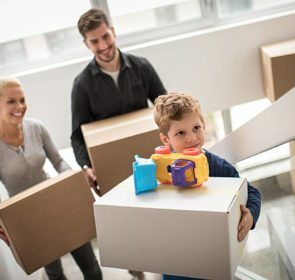 A move is complicated and arduous, meaning that organisation is key for a successful transition to your new home. Because of this, we recommend getting quote comparisons early on so that you can choose a company and start the moving process. You should receive at least 3 quotes to get a general idea of cost estimates. Look for companies who are certified members of trade organisations like a national guild or the Fédération Internationale des Déménageurs Internationaux (FIDI). These trade bodies represent movers either in Ireland or internationally and ensures that the company has met the strict quality and safety standards imposed by the organisation. Discuss with the company what services are included, which items will be taken to your new home, what does the insurance cover, whether the quoted price is the final price, and all other questions you want to ask. The removal company will be more than happy to answer any questions that you have to make you feel at ease. Our moving house page has a list of additional tips to make the best out of your moving company.